When the University first signed up for the OnTheHub service plenty of University members went there to obtain free or discounted software. When asked to register, they used their official email address – after all, why wouldn’t you? Some time later, as Nexus’ migration to Office 365 project kicked off, it became apparent that this couldn’t continue: we needed to reserve all of the University’s email domains/suffixes for use in our official Office 365 tenancy. Users who were using their University email addresses for any other interaction with Microsoft were creating a ‘viral tenancy’ with no administrative control, while simultaneously preventing us from adding that domain name to the official tenancy. And without the ability to add that domain name to ‘Nexus365’ that college or department would be stuck for all eternity on a tiny in-house Nexus mailbox. It was around a year ago we identified this problem and asked Kivutu, who administer OnTheHub, to stop accepting registrations from University email addresses. Now users of OnTheHub are asked to register with an email address in the format first.last@oxforduni.onmicrosoft.com. Our help text was also updated to reflect that change. A year on from that we now have a new problem. OnTheHub users are asked to periodically renew their licence, to prove that they are still members of the University and thus entitled to continue using that software. It’s been a year, so University OnTheHub users are starting to relicence their software, as requested. 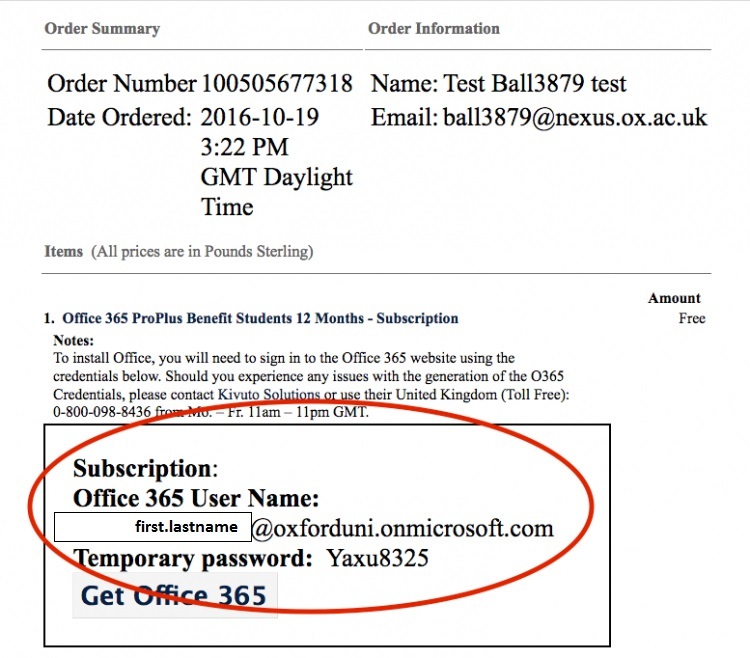 The problem is that after all this time many users have forgotten about that oxforduni.onmicrosoft.com address – many of them have been trying to log in with their official University email address. Because we’ve been adding all of those email domains to the official Nexus365 tenancy, and we’ve federated it via Shibboleth to use single-sign-on addresses, Microsoft’s logon page sees an address that belongs to us and ‘helpfully’ sends the request in our direction. Your end user sees a standard SSO logon, knows what to do with that, so logs in. However what they get is not OnTheHub. What they’re seeing is, in effect, a sneak preview of Nexus365. But it’s not usable in any meaningful sense as what they’re seeing is a not-yet-migrated and not-yet-licensed example of Nexus365. All of the new exciting toys are visible but none of them are usable until we are able to start migrating folk across. It would therefore be a great help to us, and a useful reduction of the support burden on the helpdesk, if you could advise your OnTheHub users to look up their oxforduni.onmicrosoft.com alias and use that to re-licence their Microsoft software downloads. It will have been sent to their official University email address so should be searchable within their mailbox. Finding and using that address will ensure that a greater number of people can continue using their software without delay or (additional) confusion by re-licensing at their first attempt.